Billy Parkin selected for exhibition dedicated to screenprinting, digital printmaking and lithography. BA (Hons) Fine Art graduate Billy Parkin has been selected for The Masters: Screen and Stone exhibition. The Masters is a series of technique-specific exhibitions established by the Royal Society of Painter-Printmakers and this year’s exhibition is dedicated to screenprinting, digital printing and lithography. Billy is a multidisciplinary artist whose work currently explores ideas of memory and erasure, narratives and relationships. 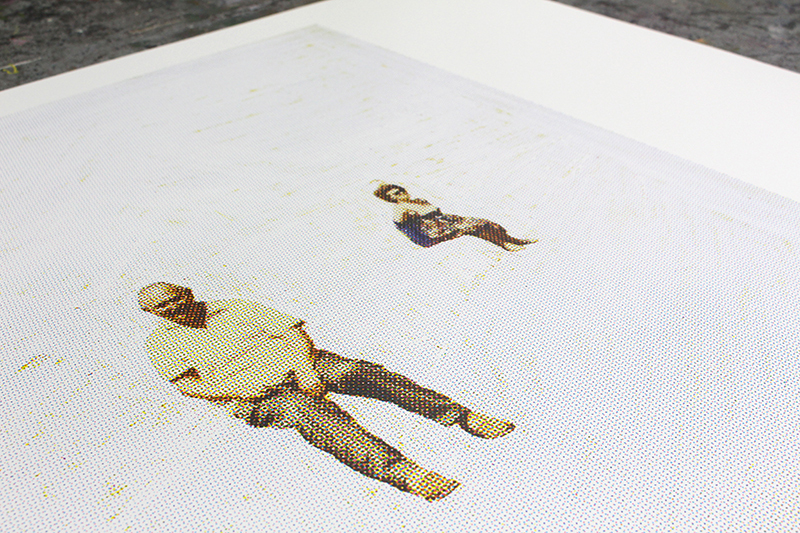 His work is informed by a collection of found images, which are then physically impacted upon and finally reproduced. He graduated from NUA in 2018. The exhibition is curated by Chris Orr RA RE and is on display until 18 November.